Subject: LongIsland.com - Your Name sent you Event details of "Caregiver Conversation Group"
If you are caring for a loved one, please join us for an informal conversation group to share your experiences. 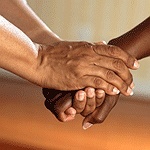 Come and meet others in similar situations to receive encouragement and support. For additional information, please call the library or visit our website.